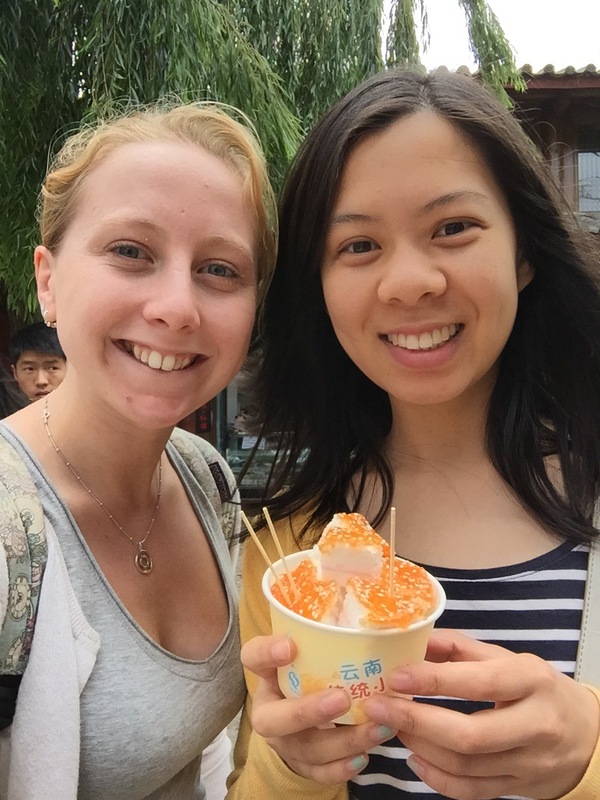 Lisa and Georgie's Food Review: Lijiang – british. foodie. dreamer. 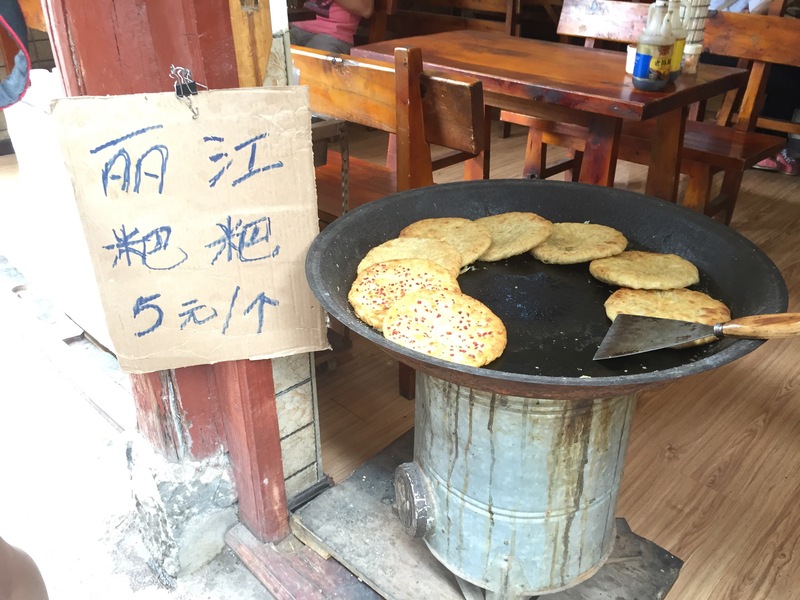 A ‘粑粑’ is commonly a flatbread that can either be sweet or savoury. 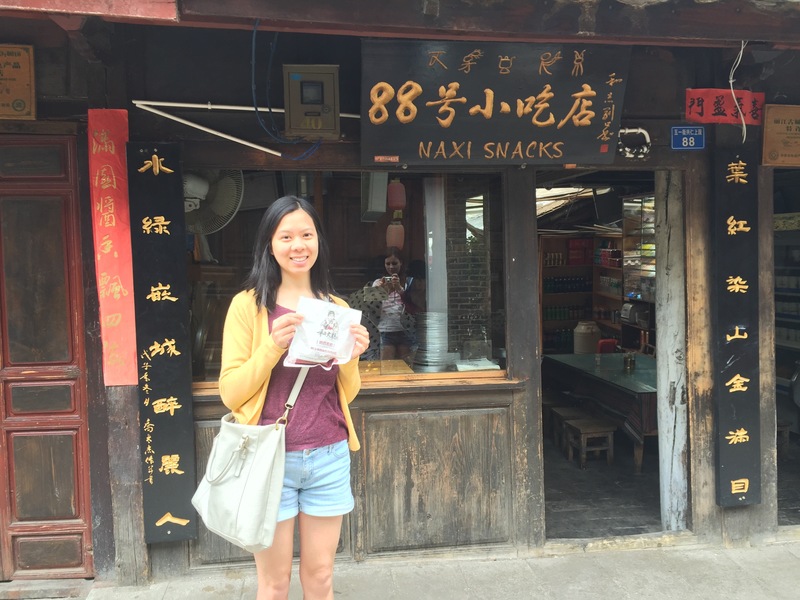 The first one we tried was from Naxi style cuisine. To make it, they add an egg to the dough mixture before frying it on a large pan with some oil. It was thick and eggy but not dense. The texture was soft and resembled that of a western bread bun. The shop owners served it to us sliced like a pizza which made it easier to eat and more enjoyable. The idea of eating the whole thing in one go can trick you into thinking it is stodgy, however the little bits keep you wanting to eat more without feeling full. The taste of black pepper is unexpected but not unwelcome as it is quite subtle. It wasn’t flavoursome but not to die for. On a cold day it is a great snack to warm you up. So, overall, it was a tasty basic snack! 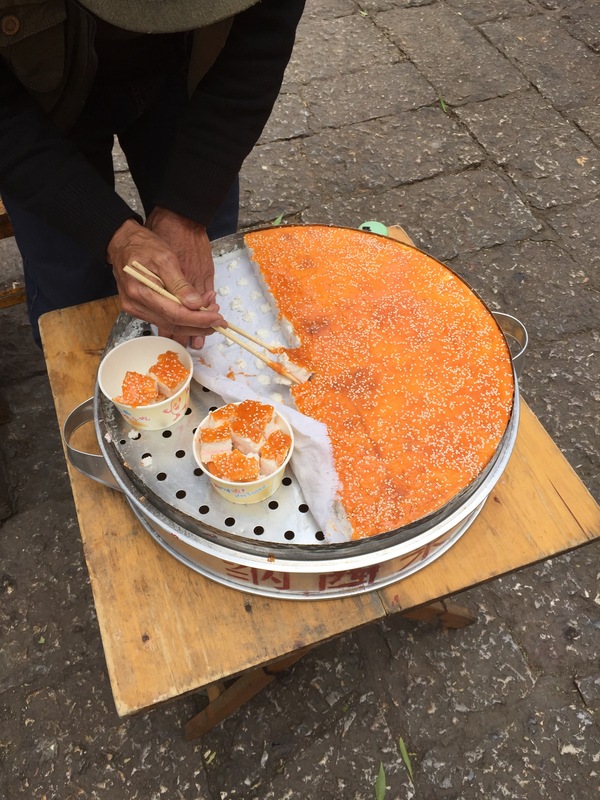 This is a local dry rice cake topped with a coloured transparent sugar icing. The icing has a similar texture to caramel but isn’t sticky or chewy. It is Chinese icing. The colour of the icing was a fluorescent orange which contrasted to the bright white colour of the cake. The cake itself is very dense and chewy. Nor does it have any flavour but the icing accounted for that as it is very sweet. Through the middle of the cake there is a very thin pink line of what we suspect is icing although you can’t taste it. The top was also decorated in a couple sesame seeds. We would say it was aesthetically pleasing to look at! Overall, a nice little treat that wasn’t too decadent and satisfies your sweet tooth cravings. 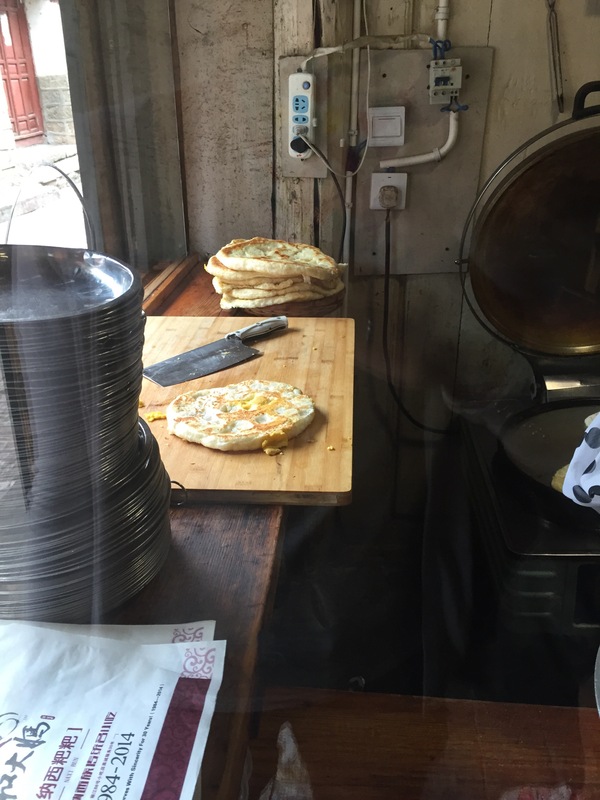 This is another one of those “flatbreads” but resembles a thick pancake. The outside is golden decorated with small pieces of ham on top. However looks can definitely be deceiving. The pastry was not light and quite thick yet soft. It was doughy and overall, underwhelming as a snack. The only positive was that we didn’t choose the sweeter one. It is what the title says it is. 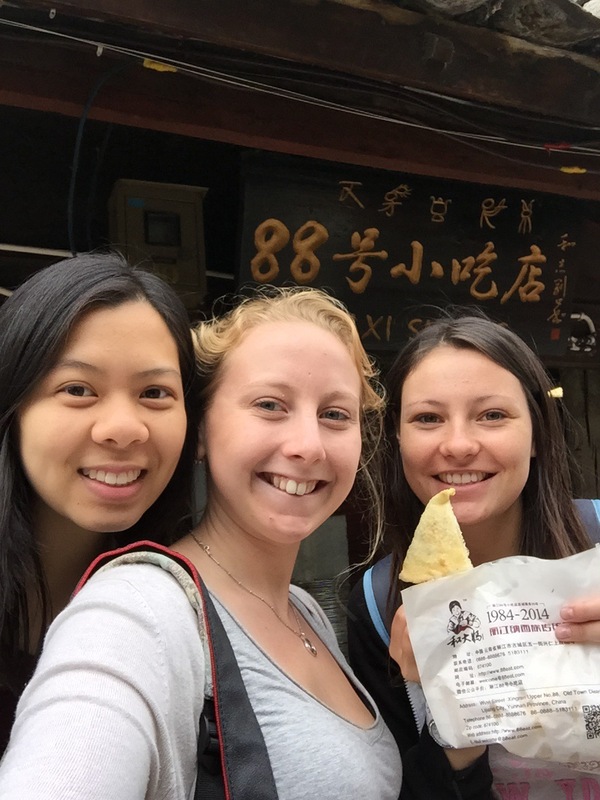 The flavour is rich and looks like halloumi but is not as chewy or salty. It’s also not got a strong cheese taste. 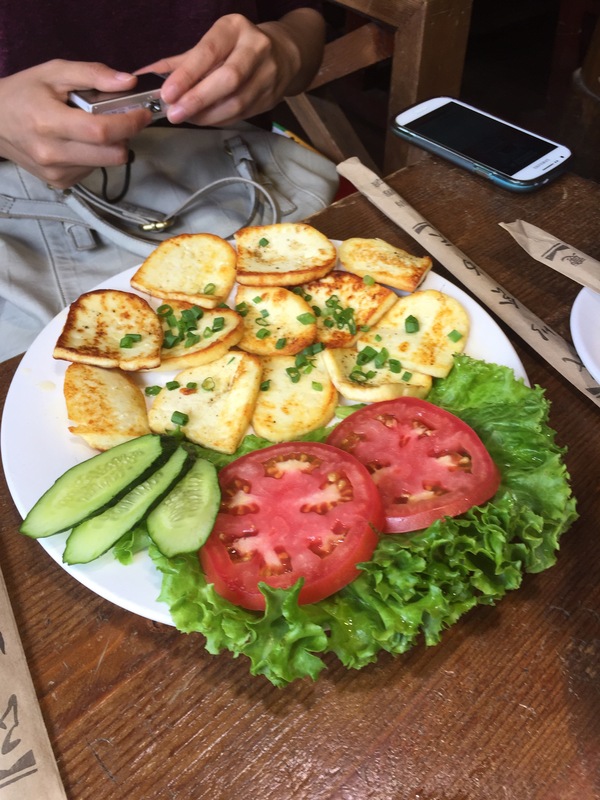 The aesthetics are quite good considering it is just cheese, it is fried evenly, and was accompanied by tomato, lettuce and cucumber. Lisa chose to add this spicy Korean style sauce that came with Georgie’s dish. Overall, not as exciting as it seemed to be on the menu. This is Yak milk yoghurt. It came in a cute little glass bottle with a paper lid tied on with a string like traditional jam jars. Consistency thinner than Greek yoghurt but thicker than generic store bought yoghurt. Tastes like normal yoghurt to be honest, just has a slight cheesy taste and is slightly sweetened. 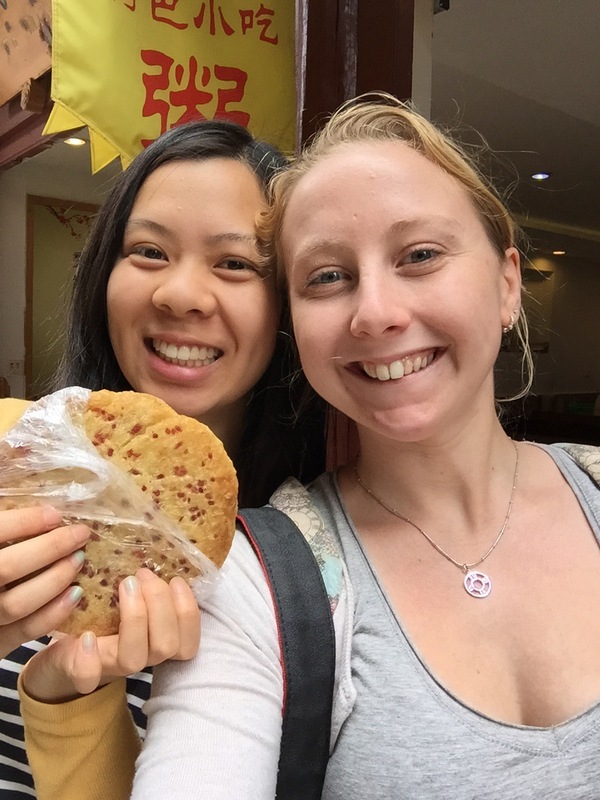 I was very happy to eat it because I was super thirsty, healthy and it was filling!